People demand for FRP duct rodder more and more, as a professional manufacturer of FRP duct rodder, if only blindly before the production of products, we will soon be out of society, based on the production of the original product, only we Continuous research and development of new products, the only way we will stand out in the many manufacturers of glass fiber duct rodder, become the industry leader, the most important thing is to technically reform, so that we will get a lot of consumption Recognition. 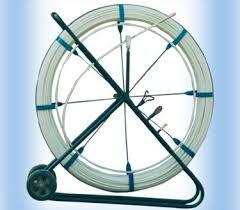 Below we will introduce in detail about the technological innovation of fiberglass duct rodder! First, we introduce advanced glass fiber reinforced plastic duct rodder production equipment, at present, the domestic production technology is very general, based on this, we introduce foreign countries like the United States, Germany and other advanced production equipment, the quality of the problem can be said to have a great Change, there is that we will be uninterrupted, to train our technical staff to train them to use the production equipment and operation, the level of technical staff increased, then the quality of the problem will obviously be improved in the production of Process, we will send professional technical staff to strictly ensure that our product quality. FRP duct rodder technical reform is not a day or two can be changed, it is a long process, we will be in the process of continuous exploration and progress, for everyone to strive to continue to provide more high-quality products.